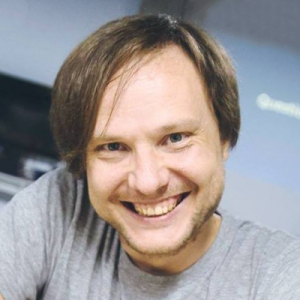 Maxim Salnikov is Oslo-based cloud and web front-end geek with the strong passion to the developer community building. He architects and builds complex web applications since the end of the last century, and has extensive experience with all aspects of web platform focusing on the apps managing real-time data from IoT devices, and Progressive Web Apps. He is a Google Developer Expert in Web Technologies & IoT, and a former Microsoft MVP in Development Technologies. Maxim is passionate about sharing his web platform experience and knowledge with the community. He travels extensively for visiting developers events and speaking/training at conferences and meetups around the world. TOPIC: Diving deep, deep offline without drowning – the web can do it! There is no need to advocate for progressive web apps anymore. The idea of connection-independent applications has proven its viability and we see more and more large and small projects following that path, making the offline-ready behavior a best practice, good manner of the web. In my session, based on the deep exploration of Service Worker API possibilities (using Cache Storage, Background Fetch, Background Sync) and gathered UX gotchas, we go through the history of the offline web, the importance of treating the network as an enhancement, current challenges (and their solutions) and proper tooling. We architect our offline-ready app applying the best tech and UX practices and adding the features one-by-one: app shell, caching resources and data, sync when online. All in name of our users who demand the new level of the resilient web experience. The section is mix of visionary and technical pieces. During „building“ our offline-ready app, we go through code samples, UX best practices, learn how to avoid pitfalls, find workarounds for non-supported features.